A smaller version of the popular Osaka ceiling pendant shade. This is an to easy to fit, non-electric, retro style ceiling light that is designed to fit easily onto an existing wire pendant and lamp holder. A smashing pendant light for over a table that would suit both modern and more traditional rustic rooms. 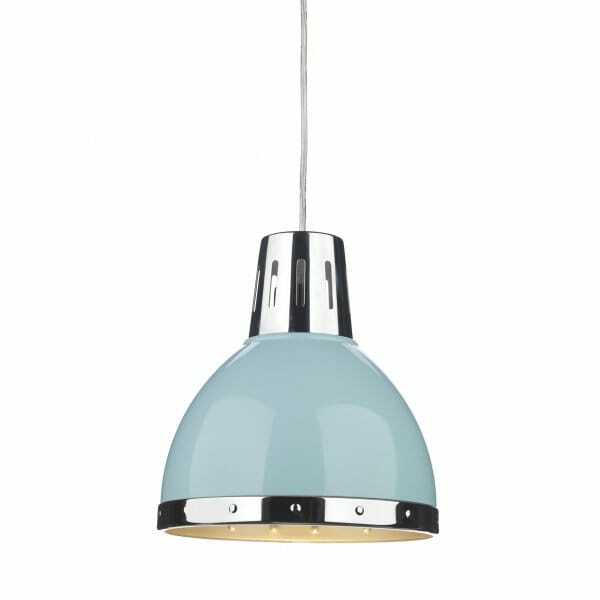 Available in a choice of finishes - the one featured here is in a pale blue finish with chrome detailing. It can be fitted to both the standard or low energy lamp holders.